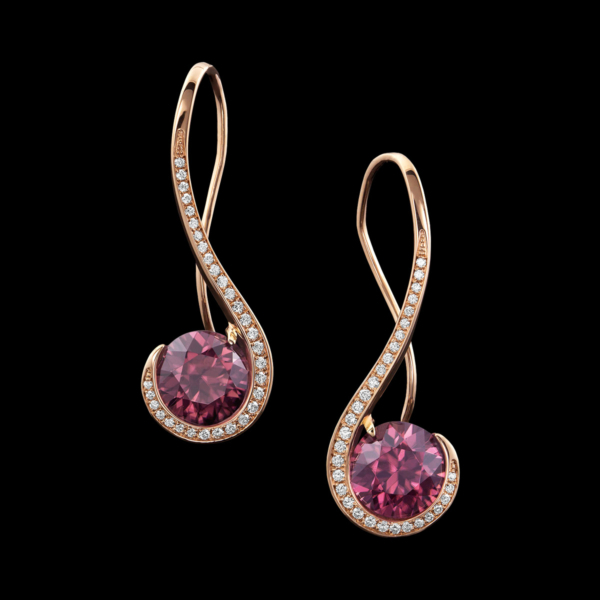 Grace Zircon Earrings spark romance. These sweet earrings display a pair of rose zircons, weighing 9.49 carats, accented by .36 carats of diamond pavé, set in 14 karat rose gold. For purchase call (949) 715-0953 or use our contact form below.